Using drones to save endangered elephants and rhinos from extinction. Help fund a guardian angel this holiday season on Indiegogo. 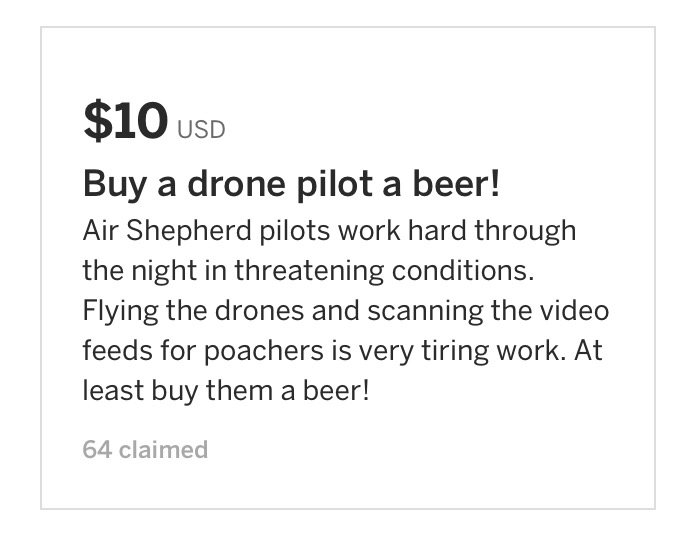 Or at least buy a drone pilot a beer. How embarrassing … I just realized that I misspelled “Shepherd” in the title of the original post. It’s fixed now.